All of our neighborhoods have them—those unique buildings that create a sense of place and define what makes a community special. The spires of a church, the vast expanses of a library, the memories that linger long after a school building has served its last student—these irreplaceable buildings are more than just structures. They define the character of a community and the people who have lived there. All too frequently, they become abandoned and blighted and a drain on the people who once energized them. 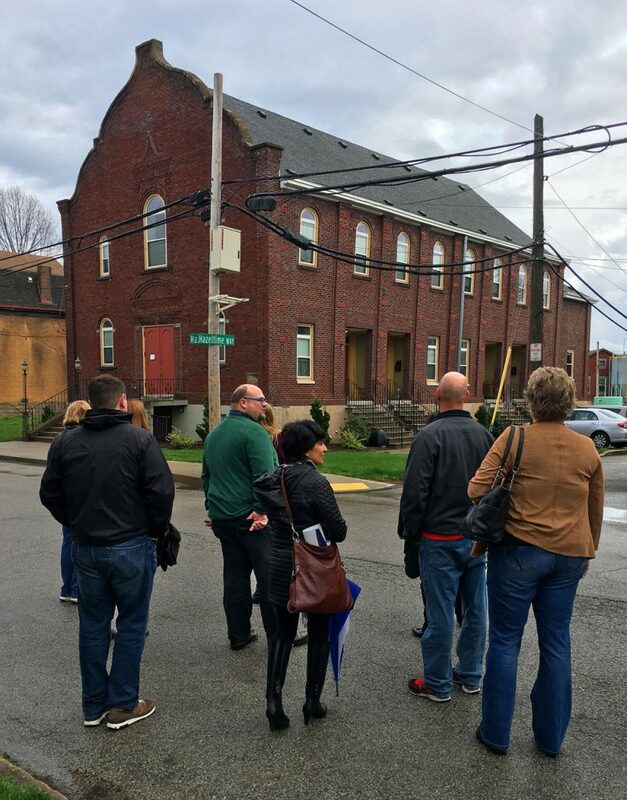 No one likes to see a church or a department store or a firehouse or a hotel demolished, yet that happens frequently in our Mon Valley towns. There is another solution. It’s adaptive reuse, and it’s becoming a larger part of the work of MVI’s Real Estate Team. In our pipeline, we have the renovation of Eisenberg’s Department Store in Monessen as well as projects to be announced in the near future in Braddock, Clairton and Swissvale. Too frequently, these buildings are no longer economically feasible for their owners because their original use has changed or been discontinued, however for the most part, the structures have been well-maintained. Take some of our historic churches—we know that there are very few churches that still attract 800 members for a Sunday service but we know that there are faithful “church ladies” who clean and religiously turn down the furnace when not in use. Those people, who have a stake in a building, are exactly the people who are coming to MVI and offering us their properties, often free or at a steep discount. Why? Because MVI has the ability and experience to see and envision the reuse of a building – and we have done so, including most recently the conversion of the original Madonna Del Castello Church condominiums and the Braddock Free Press buildings. As a result, we are well positioned to take advantage of these offers. In addition, because we have been involved in the development of so many zoning ordinances and have made sure that there are special provisions to encourage redevelopment of these often times difficult to redevelop properties, we have assurance that our proposed reuses are allowed by zoning. Finally, as we look at diminishing funding availability for projects, the historic nature of these properties can make them excellent candidates to use both the Rehabilitation Investment Tax Credit that generates 20 percent of the eligible project costs and the State Historic Preservation Tax Credit that generates 25 percent of the eligible project costs. These funds only have five-year compliance periods and do not have any associated income restrictions making mixed use and market rate units extremely feasible.